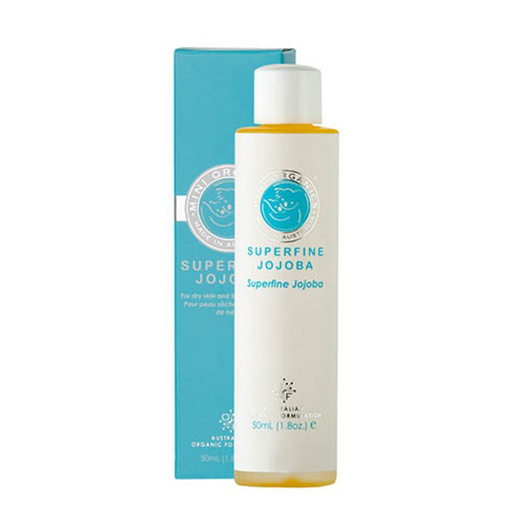 A must have product for ALL mums, miniOrganics Superfine Jojoba belongs in every nursery this amazingly versatile liquid wax suitable for use with even the most delicate newborn skin. As it is Nature’s closest match to the skin’s own sebum, our Jojoba is Ideal as a super gentle moisturizer for any areas of dry irritate skin, for baby massage, perfect for relieving cradle cap, or for use as a bath oil. Pure, gentle and Certified Organic to Food Grade Standards. It makes a terrific moisturiser for acne-prone and teenage skin. Apply a few drops as often as needed as often as needed to effectively moisturise and care for dry skin. As a nail treatment, simply massage a drop or two into cuticles and nail area. Massage into scalp to help remove dandruff and ease dry scalp conditions. To effectively remove eye make-up -a few drops to a damp cotton pad will remove even the toughest of waterproof mascara, while naturally moisturising the eye area and lashes at the same time. Makes an amazing hair and nail treatment and is the perfect boost for dry winter skin, not to mention a fantastic eye-makeup remover. Excellent for helping to relieve dry itchy scalp conditions. Even works as a soothing post shaving balm for Dad. Moisturizers are always more effective when applied to damp skin. The tiniest drop goes a long way. Shelf life 12 months after opening.